For several weeks now I have been thinking about how to better organize my home, and I ended up pondering on how much I love crates. Crates are useful, they help keep things organized, they hide stuff, and they are cute. 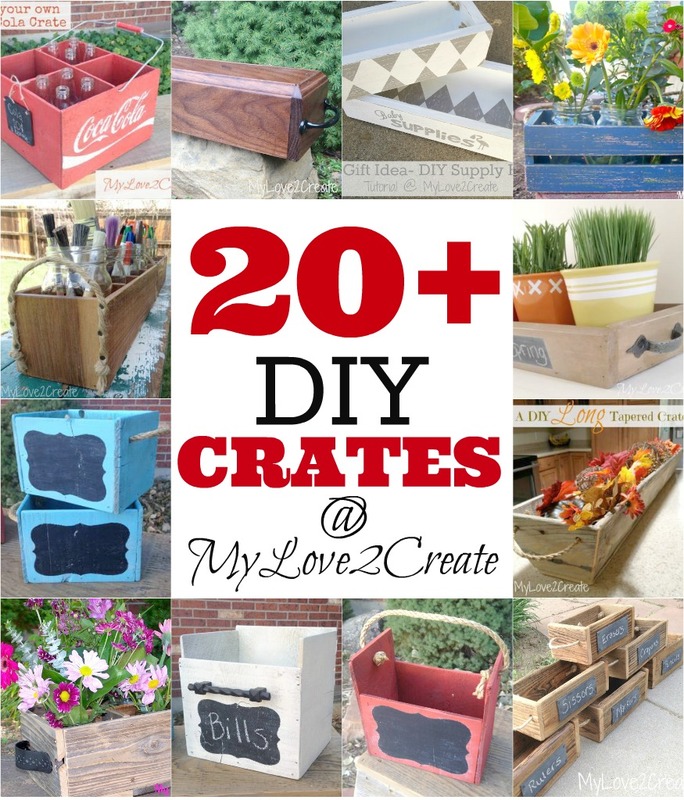 You just can't go wrong with DIY Crates! Then I thought maybe you were were thinking about organizing too. I mean...it is January...so I decided to share my crate collection with you today, and hopefully inspire you to get out and build! 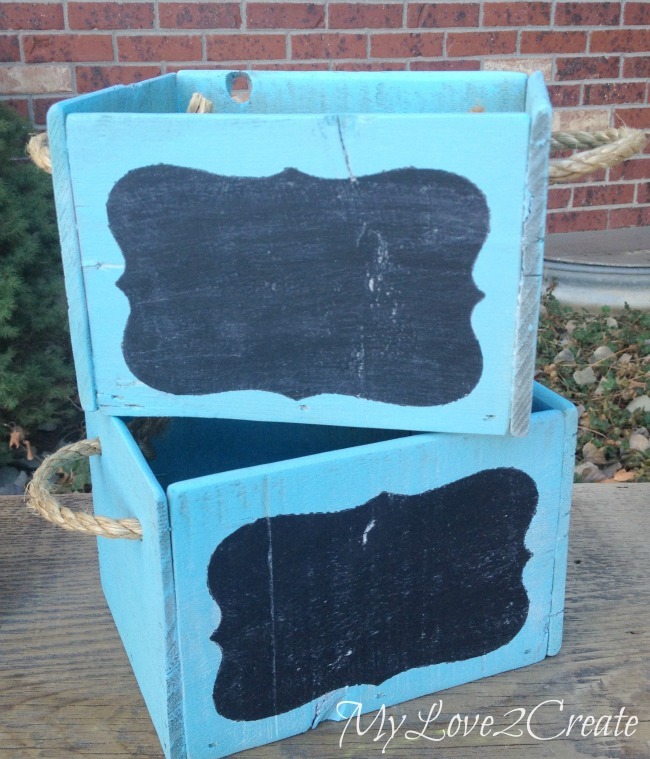 I will start by sharing some crates I have made recently, but haven't yet shared on my blog. Then I have a link collection of all the crates I have shared in the past. Enjoy! 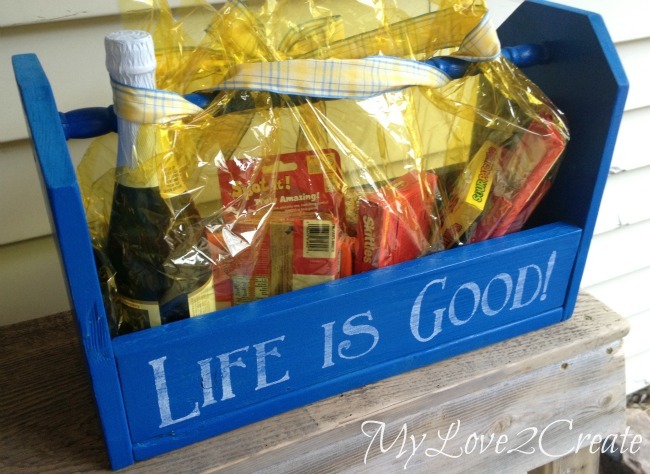 Not only are crates good for organization but they make great gifts too. 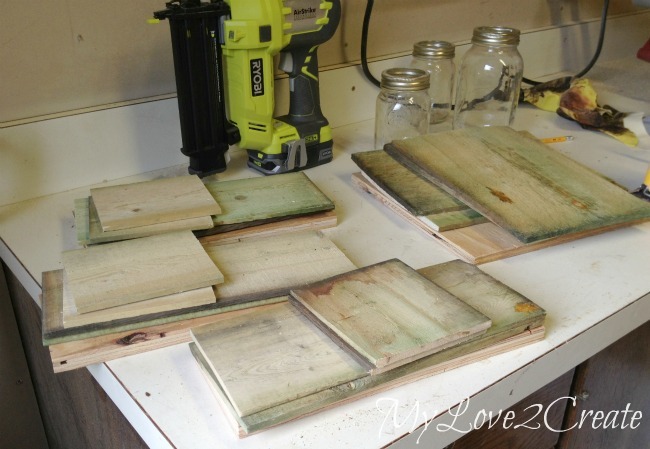 Most of the time you can make them for free, with scrap wood, pallet wood or fence wood, and they are easy to make. Total win win. This one for example, was made from reclaimed fence wood and scrap wood (all of which I got for free on Craig's list). The handle was from an old crib I found by someone's trash on the side of the road. I built it, spray painted it, added the names of my friends who were getting married, and filled it with stuff for a fun date night. 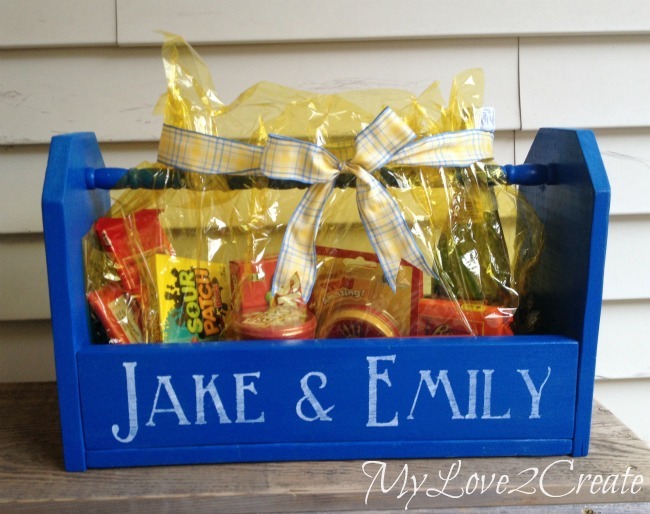 Instant wedding gift! If you notice the handle, I only had some small twine, so I used three pieces and braided it to make a thicker handle. The above are scrap pieces cut for crates. Most of the crates that I made from these are long gone, but this photo gives you an idea of what I do. I find a scrap piece for the bottom, then cut two scrap pieces the same length for the sides. Then I measure and cut the end pieces. 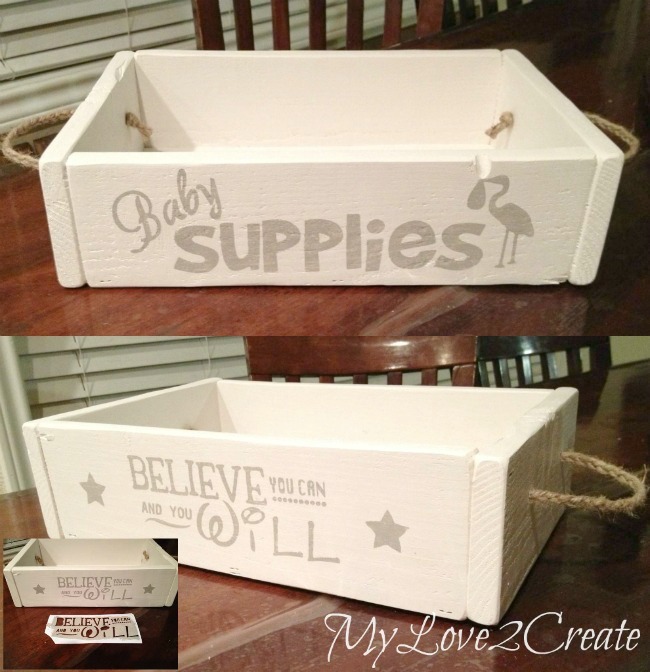 My Chalk Box tutorial or my Divided Crate tutorial are perfect if you need a visual on how to build and make a basic box or rectangle crate. Or all different sizes! 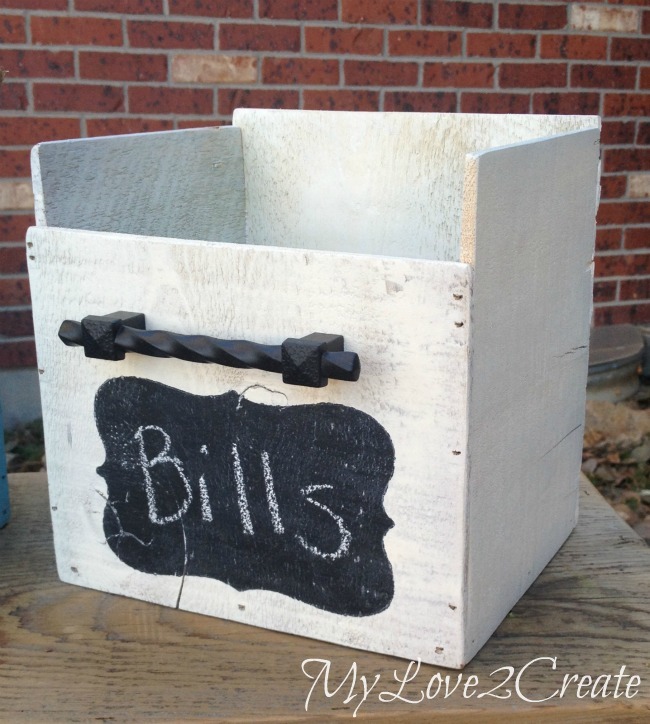 Really the possibilities for making crates are endless! Do you love Crates as much as me? You should make some! Also, be sure and check out the links below for more fun crate inspiration! Who said you can't be organized and make it look cute too! Awesome inspiration! I love how you make your own crates. Mindi, you have a really neat collection of crates. I love they're all different sizes, styles and colors, fun! How did I miss the Coca Cola one? heading over to check that one! Look at all of these great projects! You really are so talented! 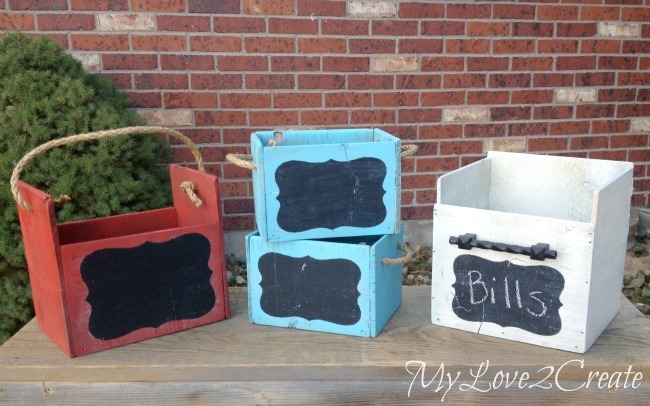 Love the wooden crate ideas. Thank you for sharing with the Clever Chicks Blog Hop! I hope you’ll join us again next week! 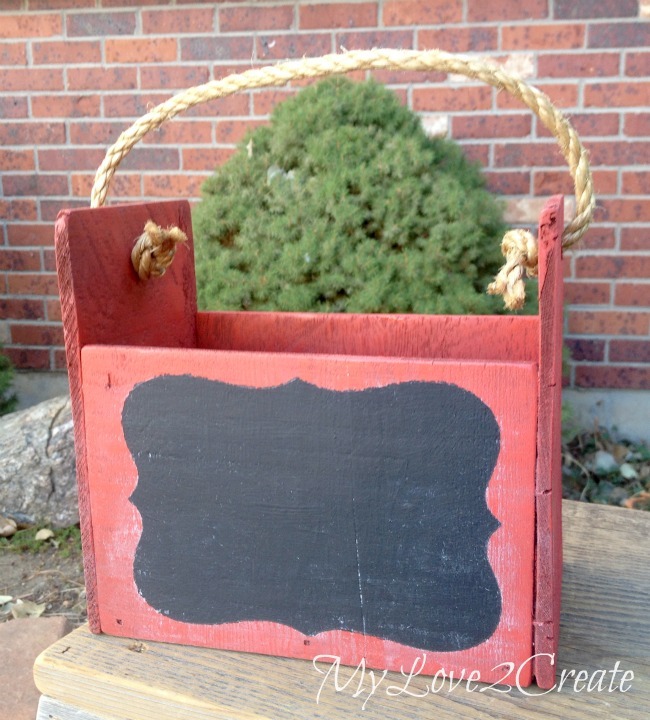 great roundup Mindi! You know I love crates too! You are the Master Crate Maker. I love how unique they all are. Great projects! I loved the back side of the baby supply box! Lovely! Really cute. I especially love the little gift box. I once gave a crate as a gift box (yes there was something in it, and it was her colors), and the recipient came back and asked me what she was supposed to do with it. Lordy, the options are endless! These are super fun. I am in the process of switching a couple of rooms in my house and am looking for some great storage ideas. Thanks so much. Your crates are awesome! Now how the heck did I not realize that you had your own blog??? 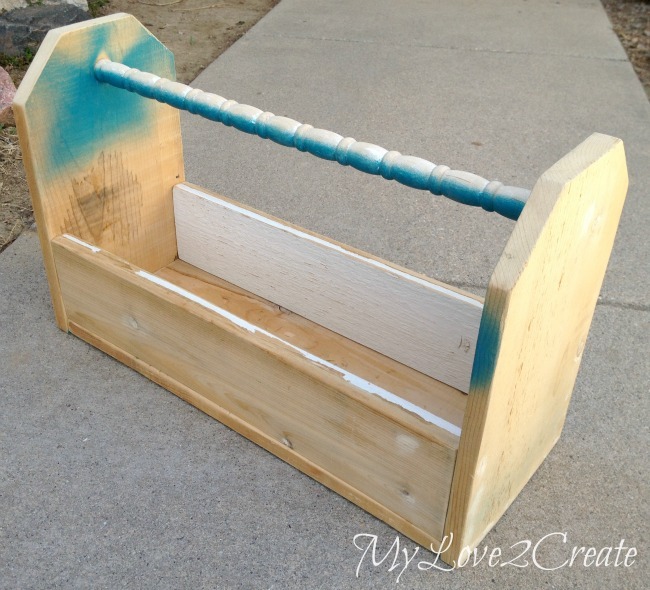 For some reason I thought you just occasionally blogged at My Repurposed Life! Well I've just added you to my reader and I'll have to go back and read older posts. I love wood! What a nice way to create storage! Crates are wonderful and so useful! You have made some really fun ones. Thanks for sharing with SYC. I love these! Featuring you tomorrow! Thanks for linking.